Make the server creation faster and easier with custom images. itopia now allows you to create custom server images and configure them with applications of your preference. These images can be then used to create new instances (app servers). 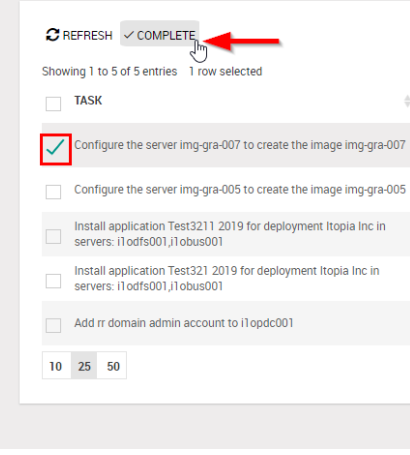 We also incorporated images into the Autoscaling process and you are able to select a custom image for your session host server configuration. Using custom images for autoscaling processes will make it faster and easier to spin up new session host servers since images will already be configured with your selected applications. itopia doesn't charge for using images so you'd pay what GCP charges for the resources. The cost related to images would depend on the server that's spun up in order to configure the image. Once the image creation is finished, the server is deleted. Image pricing can be found here. 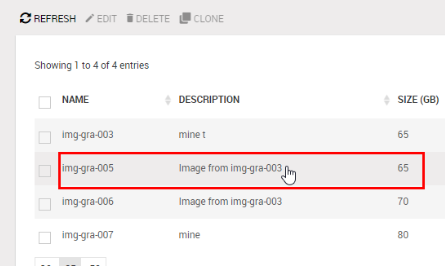 Every image also has one snapshot created and saved in GCP in case you need to clone it later. It's recommended not to delete this snapshot from GCP. Images are available per deployment, meaning that you cannot share an image between different deployments/ projects. Disk size refers to the size of the boot disk and it cannot be minor than Google's default 50 GB size. Hit Save and your image configuration starts. You will see the image in "Pending" status. Once the configuration completes, you will receive an email with your admin credentials to connect to the instance. Note: Only the admin that created the image will receive admin credentials. Then you need to configure the server image with the applications that need to be installed and any other custom settings. Double click the RDP file and connect to the server with the password you received by email. Then install all the applications that you need on this image and once done, complete the configuration task from the Tasks module. Now our software takes care of finishing the image configuration and the status changes to Pending again. To edit the Description of the image, mark the image you want to edit and hit the Edit button. If you'd like to edit other parameters like Storage or installed apps, you can accomplish that by creating image clone. The Description will populate automatically. You can edit the description if needed and then define the Storage amount. The storage must be equal or bigger than the original image you are cloning. Once done, the process will be the same as creating a new image. The image will already contain the apps that you installed on the image you cloned and you can add more/remove some after receiving the admin credentials. Note: The snapshot that was associated with the deleted image will not be deleted from GCP. 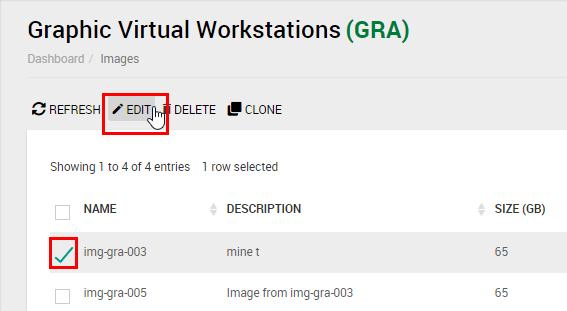 You can delete it from GCP manually. 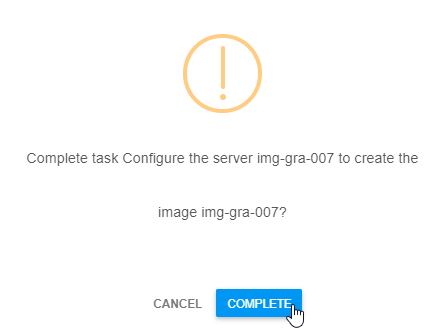 In the server options, select the Image you created. The image will appear under "Custom"
Define the rest of your settings for the server normally and click Save. 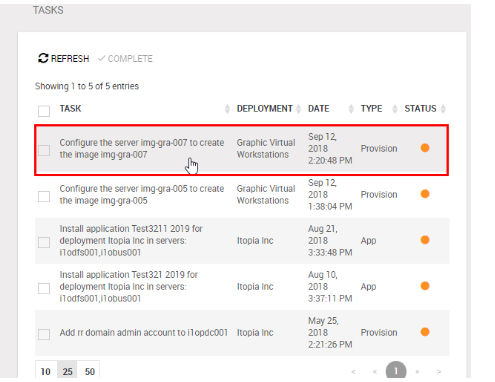 You can create your custom image, configure it with applications and then use your image to create new session host servers automatically with Autoscaling. You will save all the time that you'd normally spend installing the applications in the newly created session host servers. Use your custom image to create new session host instances. 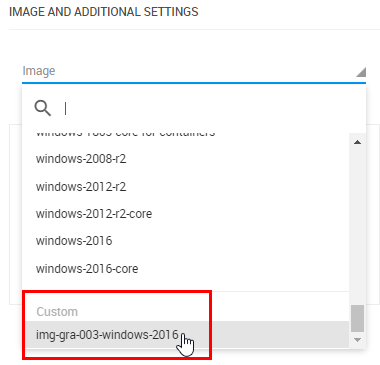 You can keep your current session host configuration and all the new session hosts that will be created by autoscale will be set up using your custom image. Learn more about setting up Autoscaling with custom images here.